Despite the weather being colder than we’d have liked today. 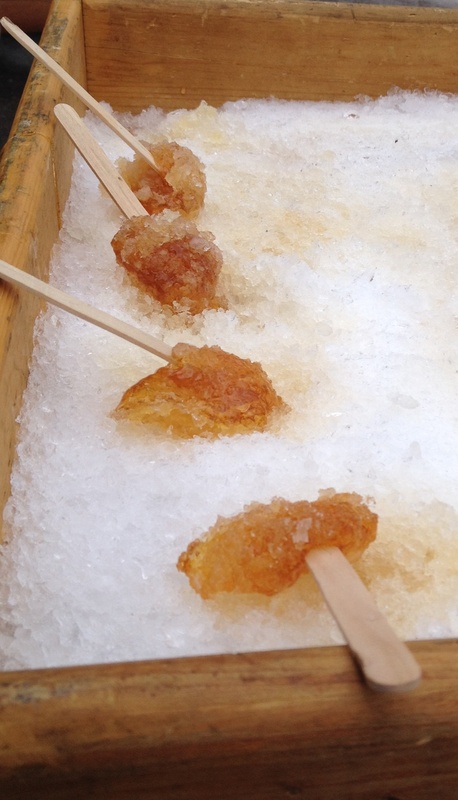 The turnout was great and the fun times were plentiful on the penultimate day of the Vanier’s MuseoParc Sugarfest. 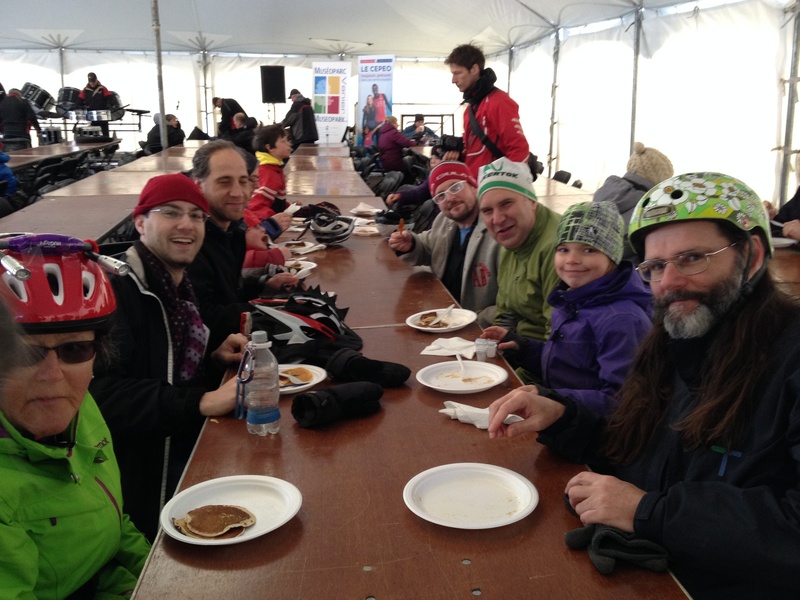 We strolled the maple path, cheered the arrival of the VeloVanier Family Bike Ride, delighted to Ottawa Stilt Union, viewed beautiful and ingenious aboriginal crafts, squealed at the animal pen, enjoyed “tire”, pancakes and much more. Thanks for being so awesome Vanier! 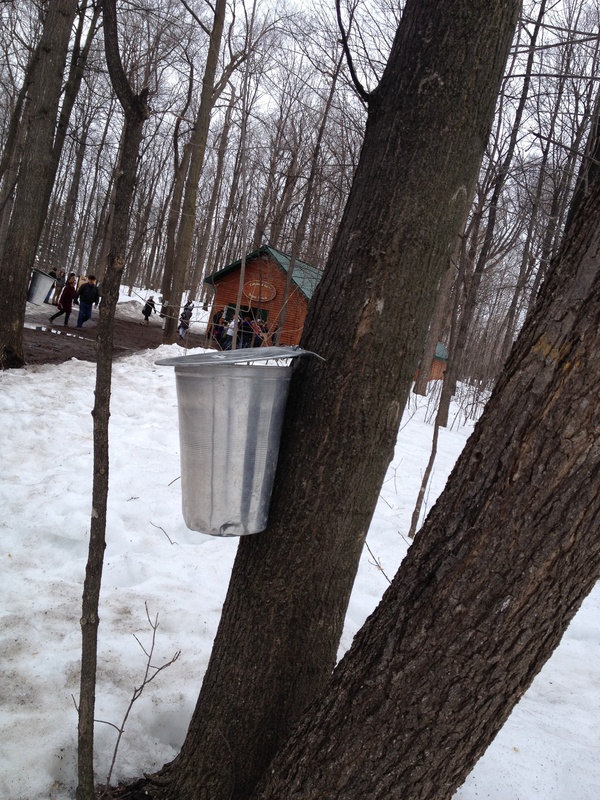 Sunday is the concluding day of Canada’s only urban Sugar Shack Sugarfest. Enjoy! 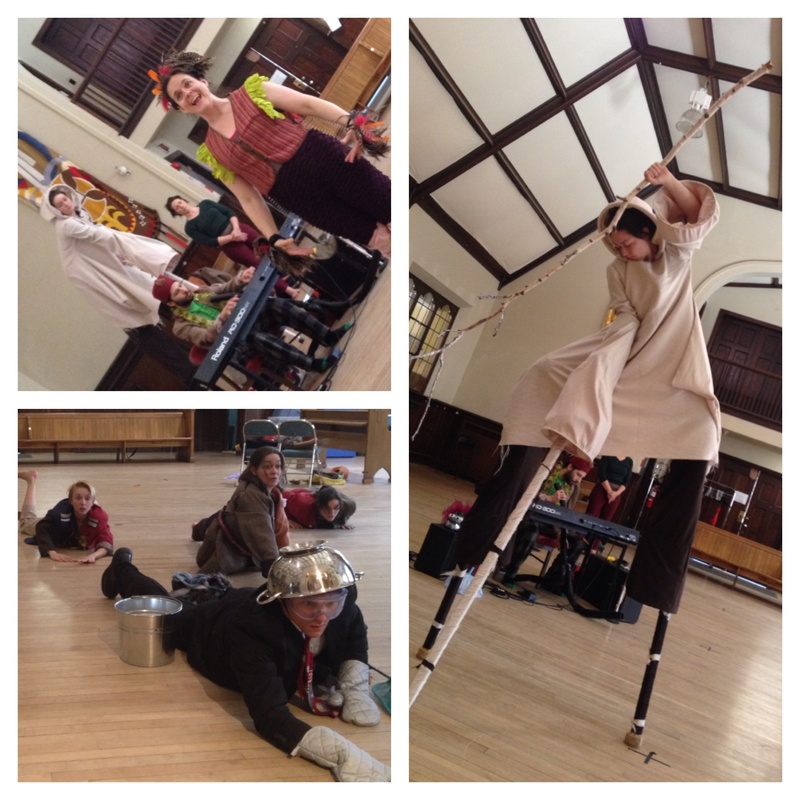 Weekend Round-Up: Thaw’t it Was Spring! Snow fell as we wrote yet we remain steadfastly resolute that there will be a thaw this weekend. So get your wellies on, dodge the puddle-splashers and enjoy all that is going on in the S-Hill ‘hood and beyond. 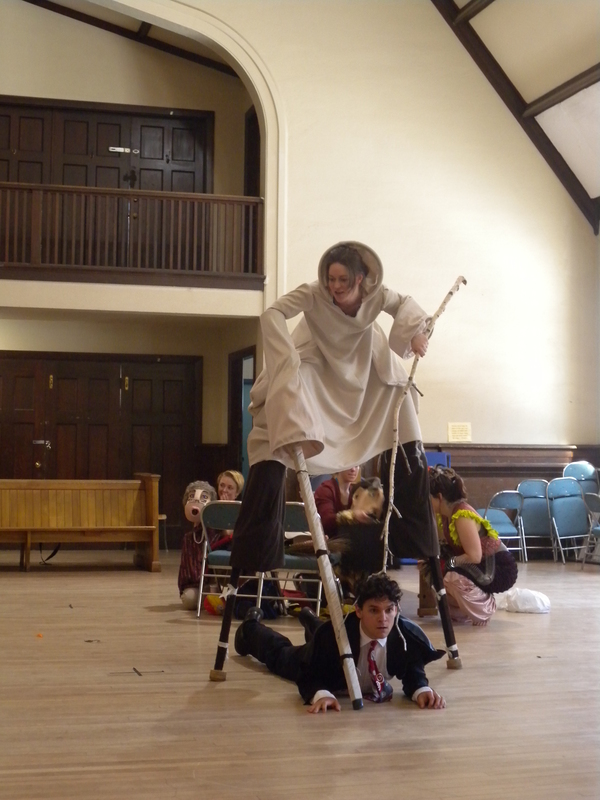 Our pick of the weekend is Ottawa Stilt Union’s Searching for Snails – a one-of-a-kind theatre experience for all ages playing at Arts Court through-out the weekend. Tickets start at 10$ and evening shows are at 7:30 & matinees at 2PM. Friday all-time favourite monthly – a night out at the Castle – is on as Nature Nocturne returns for a night of music and fun at the Museum of Nature. This edition Big in Japan will celebrate the ingenuity, elegance and innovativeness in Japan. Starts at 8PM, tickets 20$. At Cafe Alt (60 University Pvt) the final concert of their recent series presents Silver Dapple (MTL), Walrus (Halifax), and Chairs (MTL) at 9PM, 5$. Saturday Ecology Ottawa is hosting their Complete Streets Strategy Forum in Centretown. Come out for a chance to hear, debate and discuss what an inclusive multi-modal street can look like. 9:30-2:30 Hotel Indigo 123 Metcalfe St.
TedxElgin is this Saturday from 11:30am. If you didn’t get your tickets for this event never fear as there is a livestream available and you should also be able to watch and listen in on the TedTalks portal shortly thereafter. Congratulations Ottawa and welcome to the innovative world of Ted Talks! Stephen Beckta who brings so much to Ottawa with Beckta Dining, Play and Gezellig needs your help. 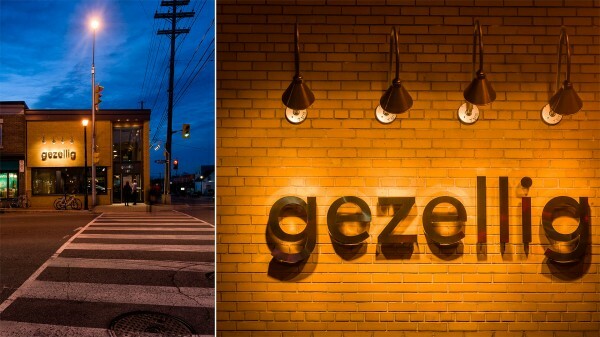 In the fight against leukaemia Beckta is hosting a Swab-a-thon Saturday 9am-1pm at Gezellig at 337 Richmond Rd. All that is involved is a Q-tip swab of a cheek to help find a stem-cell match. It’s a no-brainer so please help out. Only males 17-35 are eligible so please pass this request along to friends that can participate and give cancer a kick up the arse! Saturday it’s Art Battle the monthly painting challenge at Arts Court where 12 painters go head-to-head with paintbrushes to create a twenty minute masterpiece. Watch the artists work and vote for your winner. Always original, unique and a fun evening out. Earth Hour is this Saturday so if you’re hanging at home consider shutting down all things electronic, relax by candlelight or enjoy for a walk from 8-9PM in celebration of our planet! Be pretty cool if local businesses join in – nothing more romantic than a candlelit meal. Sunday if you still haven’t gotten your tickets for Searching for Snails it’s the two last performances so come along and enjoy Ottawa Stilt Union’s latest. We’ll be at the Matinee! Searching for Snails is a fable of co-existence, self-discovery and ecological respect. Its a story for child and inner child alike from Ottawa Stilt Union. Luckily, this journey of predatory human nature versus planetary needs is also a cavalcade of darkly entertaining performances replete with ingenious puppetry, larger-than-life characters, comedy, dance, song and haunting stilt walking. The story is simple–business man Maximilien (author Guy Marsan) is sent by tenacious client Cecilia (Laura Astwood) to a rural village to appropriate the Great Northern Snail and produce a synthetic version of their treasured “slime”. As he embarks on his mission it becomes clear that life may not be so straightforward in this odd town. Puppets, Anglophone Harold (Gabrielle Lalonde) and his Francophone wife Maude (Elise Gauthier), set the bilingual tone as they narrate the protagonists search whilst lending him a not always so helpful hand. Maximilien meets in rapid succession strange beings including Marvin (Doreen Taylor-Claxon) a flightless and witless bird, the foreboding tree Gnarbre and the not so simple townsfolk. The pace of adventures is well mapped whilst the physicality of the troupe ensure tangible action is as entertaining as the storyline. In many respects the production is as much a collection of visual performances as it is a story. The corporeal aspect of the show is exceptional. 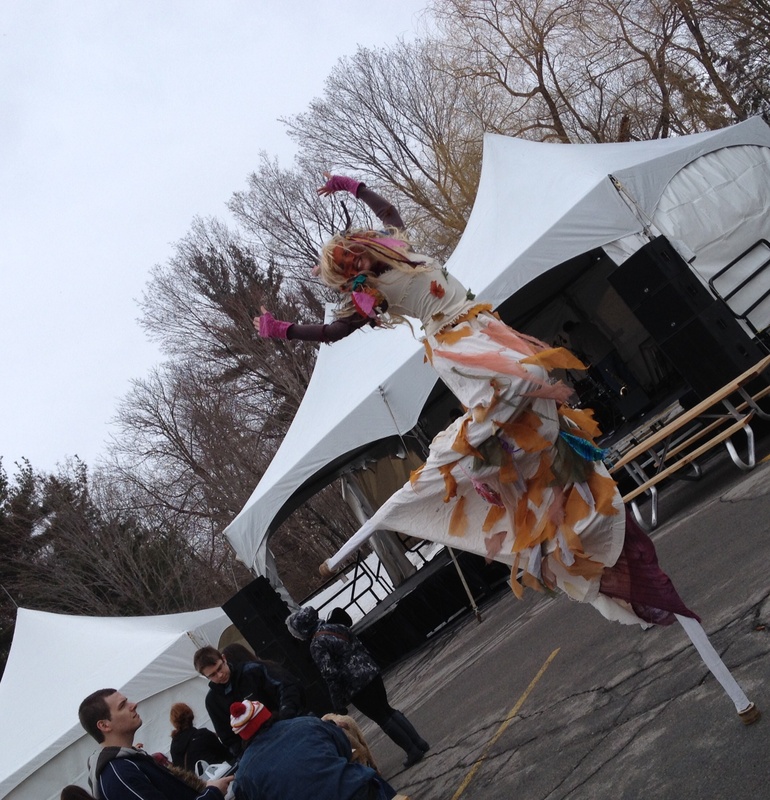 Ottawa Stilt Union has a evocative physical tradition that is fully exploited in Snails. Maximilien embodies a plane, Cecilia becomes that menacing, shrill oversized cell phone and of course Gnarbe (Laura Montgomery) towers distinctly apart above the human comedy. Song and dance numbers are ingenious, comical and refreshingly succinct. Taylor-Claxon’s & Marsan’s musical number “Ce que tu ferais si tu savais que tu ne pouvais pas échouer” is particularly clever. The production is natural in its bilingualism, shifting organically from English to French much like a conversation between multi-linguists. The conciseness of the storytelling wed to the brute physical action and substantial props ensures the unilingual attendees won’t miss a beat. Marsan proves to be a witty playwright making his allegory work by combining a proper measure of clever contemporary references and droll asides to fairy-tale story-telling. His writing ensures the production works for both children and adults alike. There is an important conciseness. Despite all the questions posed – will Maximilien be successful in his quest, will the villagers trade exclusive fauna for a “bain tourbillion”, will the screeching Cecilia ever be satisfied and can man reconcile his modern needs with those of the planet? – the performance is a succinct affair that packs mesmerising action into a tidy hour-long production.